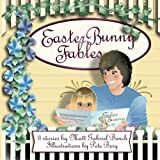 Easter Bunny Fables includes three stories that have only received ratings of 5 of 5 on Amazon. Reviews include comments such as “I love this story,” “sure to be a family favorite,” “such a sweet story with a wonderful message,” “my children love the book and I enjoy reading it to them,” “this book should be included in every child’s library,” “This story is one of those magical tales,” “the pathway delivered by Mr. Bench is one that shares life lessons as well as charm and inspiration,” “Perfect,” “Charming tale,” ”Wonderful story,” “a great teaching tool about pride and humility,” “the illustrations are enchanting and the story is delightful and entertaining,” “ the book was age appropriate and gave a nice message.” These fables show children it is ok to be different; the effects of pride, humility and being given second chances; and the power of unconditional love. All fables told are heartwarming and have a happy ending. Ester is being pressured to be like the other bunnies, but she has unique talents. What will she do? Ester Bunny is a heartwarming and inspiring story about overcoming obstacles and pursuing dreams woven into an original fable of the origins of the Easter Bunny. Even adults are drawn into this original story that packs a great message and an ending that will leave everyone cheering. Ester Bunny is sure to be an Easter classic. A “Parent/Teacher Guide” is included that serves as a fantastic tool to talk with children about the impacts of teasing, overcoming obstacles, developing their unique talents, and pursuing their dreams. This book is also great for organizations that promote mentors for youth as the character “Golden” plays a key role as a mentor to Ester. The reading of Ester Bunny on Easter morning could easily become a wonderful family tradition as it has become between the author and his grandchildren. Designed for Young Readers ages 7-9. Also designed for parents and teachers of pre-schoolers through 4th graders. A “Parent/Teacher Guide” is included that serves as a fantastic tool to talk with children about the cost of pride, the benefits of humility, and having the courage to try again. What a joy Ella Bunny is. Such joy had never been seen in a bunny around these parts. Ella’s joy rubbed off on many other bunnies. Other bunnies could not help but smile and be happy around Ella. When hard times hit Ella’s community, threatening to cancel the Grand Easter Parade, the smiles went away and the happy feelings wore off. Would the hard times steal the joy or is there a difference between happy feelings and true joy? Find out when you read the story of Ella Bunny. Visit the testimonial page to view a real life happy ending that was inspired by the reading of Ella Bunny. A “Parent/Teacher Guide” is included that serves as a fantastic tool to talk with children about the difference between happiness and joy, and the awesome power of unconditional love. The Most High King of the universe loves us and is for us. He wants to spend time with us and speak to us in ways that will enrich our lives. But what happens when we don’t block out the noise of the world long enough to spend time with Him or listen for his leadings? Roaring Whisper explores what would happen through a delightful story that takes place in the Bugle kingdom. King Bugle, a mighty elephant, values playing and listening to music more than listening for the Roaring Whisper of the Most High King. He loves his music so much more that he bans “Roar Language” from the villages he rules over. To say the least, the results are not good. What will become of King Bugle and the subjects of his kingdom? How does Alan Aardvark, Gerry Giraffe, Zander Zebra, Toby Toucan, Melody Macaw, and the Most High King play a role in the outcome? Find out when you read, Roaring Whisper. A “Parent/Teacher Guide” is included that serves as an interactive tool to talk with children about the importance of taking time to spend with the Most High King; how to listen for His voice, and provides a tool to explore the mysteries of the universe. Designed for Young Readers ages 8-10. Also designed for parents and teachers of pre-schoolers through 5th grade. Everyone will enjoy this delightful true life story about Boots, the kitty cat who gets rescued and then becomes one of the family. 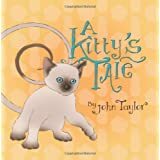 Laugh out loud as you read A Kitty’s Tale, as told by Boots, the star of the story. This story was written to raise the awareness of the need to support homeless animals and a portion of the proceeds will go to support these efforts. Designed for Young Readers ages 8-10. From God’s Heart to Yours Vol. 2, was created on Maui Hawaii and in Washington. It is being developed in the same venue as Vol. 1. Almost all of the bible verses used will be different from Vol. 1, as well as the background instrumentals. In this way, the listener will be able to experience additional promises of God spoken to them in love in a fresh new mix. Add in relaxing bird and ocean sounds recoreded in Maui Hawaii and you have Vol. 2. Aloha! In this loosely based on a true story adventure. Frank Jeffries, an orphan boy, does chores for the kind Mrs. Grayson to earn money for school clothes. As an orphan, Frank is an easy target for having jokes played on him. As an elaborate joke is played on Frank, the joke takes on a life of its own. Who will get the last laugh? What role will the kind Mrs. Grayson play in the outcome? The conclusion is both unpredictable and delightful. Purple Gold will be published following Ella Bunny. Please check back with Humble Bee Books or send us an email if you would like us to inform you when Purple Gold is due for release.